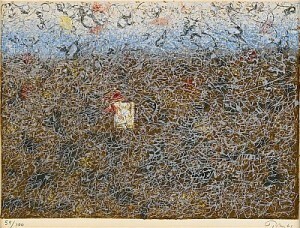 The American painter, poet and composer Mark Tobey was born in Centerville, Wisconsin on December 11, 1890. As of 1906 he studies watercolor and oil painting at the Art Institute in Chicago. Afterwards he works as a model drawer in Chicago and as of 1911 in New York. 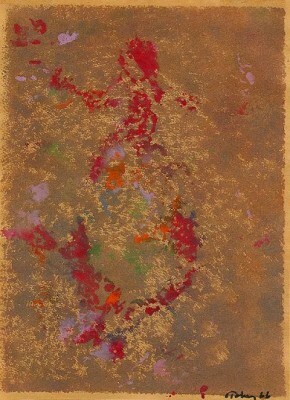 In 1918 Mark Tobey converts to Bahaism, this Persian belief seems to have a great impact on both his life and his art. From 1922 to 1925 he works as an art teacher at the Cornish School in Seattle. He is very interested in European Cubism and East Asian painting and calligraphy, he collects the art of the Tlinkit and Haida Indians, especially textiles and wooden sculptures. 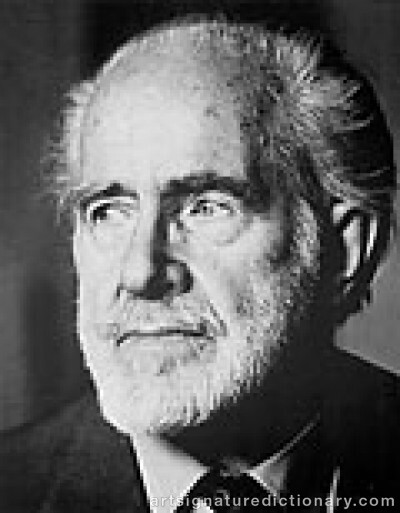 In 1925 Mark Tobey travels to Europe and stays in Paris for some time, he also visits Barcelona, Athens, Istanbul and Beirut, goes onto a pilgrimage to the holy site Bahá'í in Haifa, and also visits Akka to learn more about Persian and Arabian calligraphy. His first one-man show takes places in Chicago in 1928. 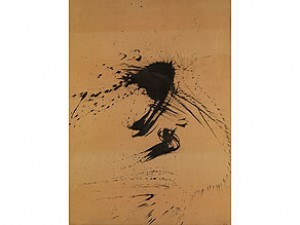 From 1930 to 1937 he teaches at the Dartington Hall School in Devonshire, England. His journeys play an important role in Tobey's life. In 1932 he goes to Mexico and in 1934 to China and Japan - where he deals with the teachings and paintings of Zen, the Hai-Ku poetry and also calligraphy in a monastery in Kyoto. The effects of these journeys can be observed in his works. The artist returns to the USA in 1937 because of the changing political situation in Europe. He lives in Seattle until 1960. He makes first music compositions as of 1938. 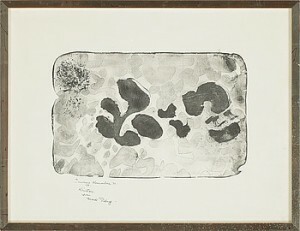 In 1944 the Willard Gallery in New York shows his "White Writings" pictures for the first time, this exhibition marks his artistic breakthrough. 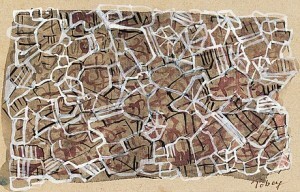 Tobey covers the image carrier with many layers of white or a similarly light color - this is the beginning of the "all over" painting, a style that is also applied by other artists such as Jackson Pollock. 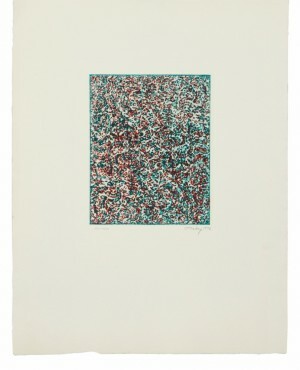 Mark Tobey's works become more and more abstract and comply with the artist's meditative and contemplative lifestyle. 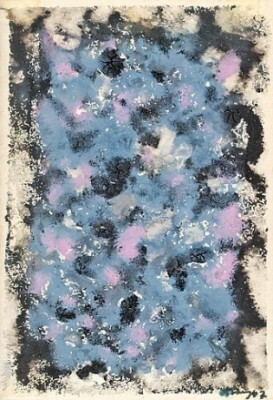 Mark Tobey's works are shown in the 1959 and 1964 documenta exhibitions in Kassel and in numerous other exhibitions all over the world. 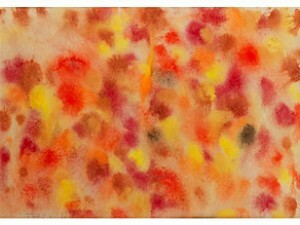 He belongs to the most important precursors of the American "Abstract Expressionism". 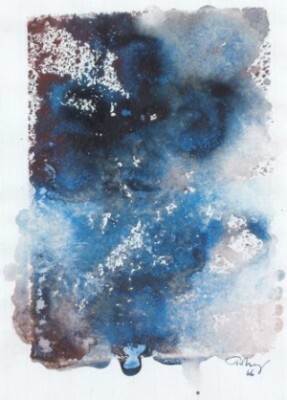 The Smithsonian Institution in Washington shows the first retrospective in 1974. 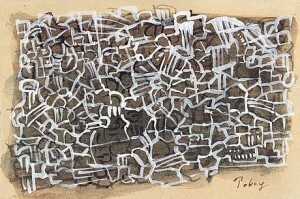 Mark Tobey moves to Basel in 1960 where he dies on April 24, 1976. 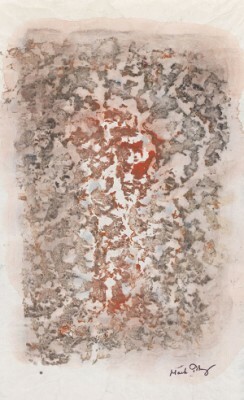 Mark Tobey föddes i Wisconsin i USA 1890, han är en av grundarna till Northwest School i Skagit County Washington som hade sin storhetstid under 1930- och 40-talet. Tobey var konstnär, poet och kompositör. Han konverterade 1918 till Bahá'í (en ursprungligen persisk religion) som inspirerade hans arbete i stor utsträckning. Han reste mycket genom Europa och Asien, och levde senare delen av sitt liv i Basel.